iPhone 7 and 7 plus launched on September 7th in an event at San Francisco, USA. The iPhone 7 models will start at 32 GB of storage and also available in 128 and 256 GB version while the Jet Black version will only be available in 128 GB and 256 GB variant. Price of iPhone 7 starts at 649$ and iPhone 7 plus will start at $769 with $100 increase in each version for expended storage capacity. Major features include water and dust resistant, dual lens rear camera, stereo speakers, two new colour offering jet black and black, new home button, updated 12 MP camera. You can read the whole article featuring all the best iPhone 7 features that makes it apart from its predecessors. Pre-ordering for both the phones already started from September 9 and it will start shipping from September 16 in 30 countries. But, in this article, we are not going to talk about these phones but will showcase some of the best iPhone 7 cases and covers that you will love to buy. After all, iPhone is an delicate device and you don’t to have a dent on it from accidental damages. 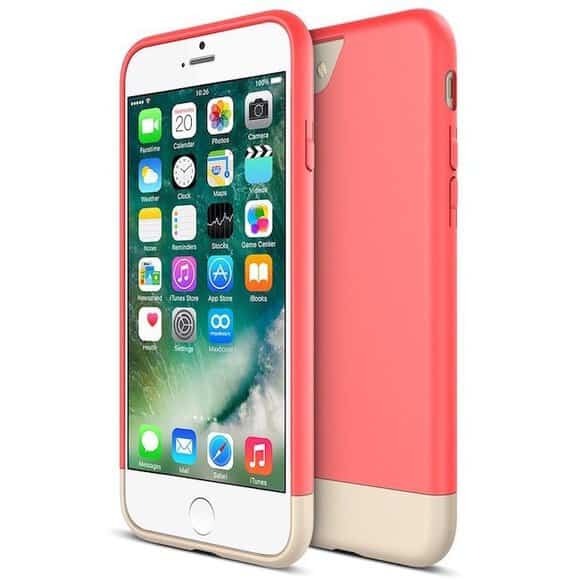 So, without further adieu, please find some of the best iPhone 7 Plus cases and covers that are available in the market and you can buy them now to protect your iPhone from first day of its arrival. You might also like our collection of best Pokemon Go iPhone cases that we made for crazy fans of popular virtuality game. 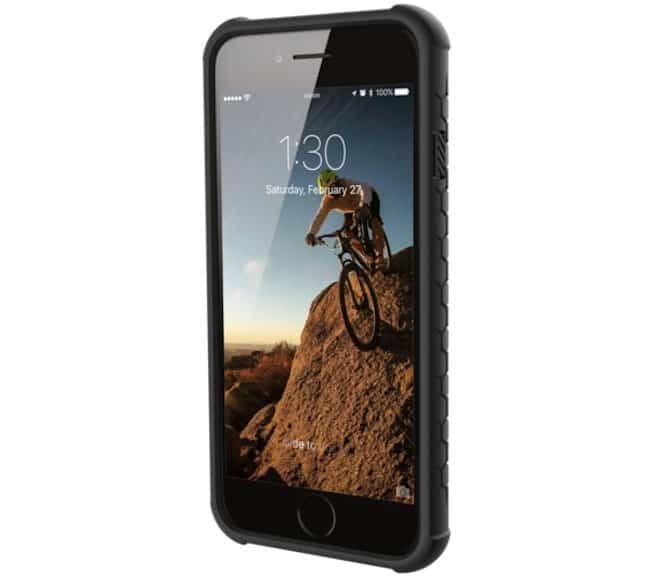 OtterBox universe case not just provides solid protection to your iPhone 7 but also allows you to attach powerful modules such as card readers, camera lenses, speakers, batteries any more easily without removing the cover. The case is ultra slim and adds minimal bulk to your phone. It looks premium and provides good grip over the phone too. This Military grade case provides ultimate protection to your iPhone 7 and at the same time looks very stylish. The tough outer shell is made of durable machined aluminium and the soft internal shell combines rubber with hard polycarbonate. The frame features raised lip to protect your phone’s screen from bumps and scratches. It has been tested for a drop from the height of 2 meters and kept the phone undamaged. This case has been tested in three different laboratories and was dropped from the height of 10 feet to check the durability. The case provides remarkable protection to your iPhone. 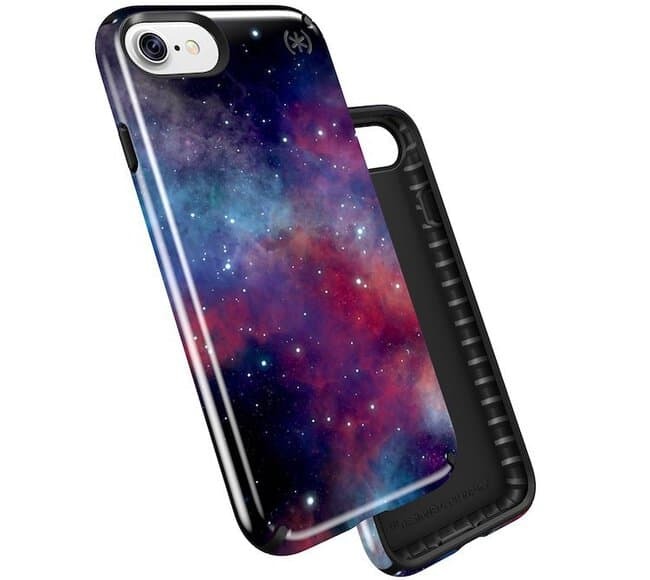 The case is light weighted and ships in two vibrant colours Glossy Black and Milky Way Black. The impactium raised bezel protects the screen for ugly scratches and nice cut-outs allow users to access ports and other control with ease. It is an advanced, good-looking and durable case manufactured by Spigen which is available in Satin Silver, Gunmetal and Champagne Gold colour options. 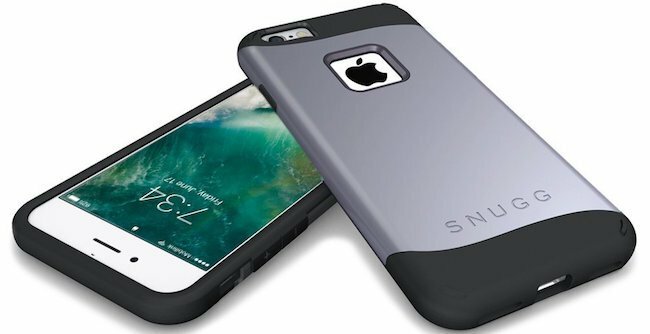 The case features shock-absorbing capabilities internally as well as externally with a bumper frame to save the phone from any sudden fall or smash. Corners of the phone will also remain well protected due to the Air-Cushion Technology. Lugano Wallet case is made of tumbled leather to provide soft and smooth finishing and includes shock-absorbent core along with covered buttons to keep you phone and other essentials secure from every hit and fall. The case is extremely light weighted and includes various slots so that you can keep your money, credit card or ID with your iPhone 7 at one place. The case has precious cut-outs that allow users to access ports, camera and other control easily. 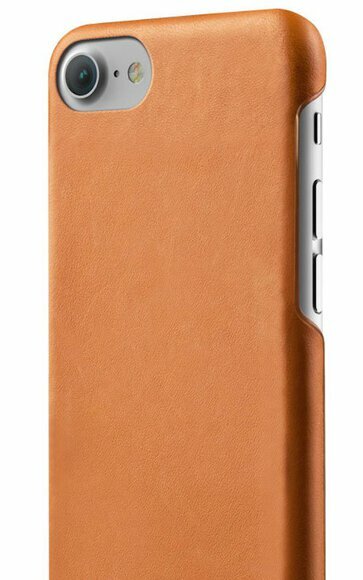 The case is available in two different colours Black and Cognac as of now. The case perfectly fits to your iPhone 7 and offers four side solid protection. It boasts a sleek design and is available in two vibrant colours Italian Rose and Champagne Gold. The case includes nice cut-outs for charging ports, speakers, audio ports as well as buttons. It has a hard outer cover and soft interior to save your phone from any scratch and bumps. The case combines seamless functionality and perfect design which protects the phone and also provides a stylish look at the same time. The flexible TPU shell keeps the phone safe from any bumps, accidental drops, scratches, dust and knock. Carbon laser cut-outs allow users to access all the controls without removing the cover and lifetime guarantee offered by Snugg gives more confidence. 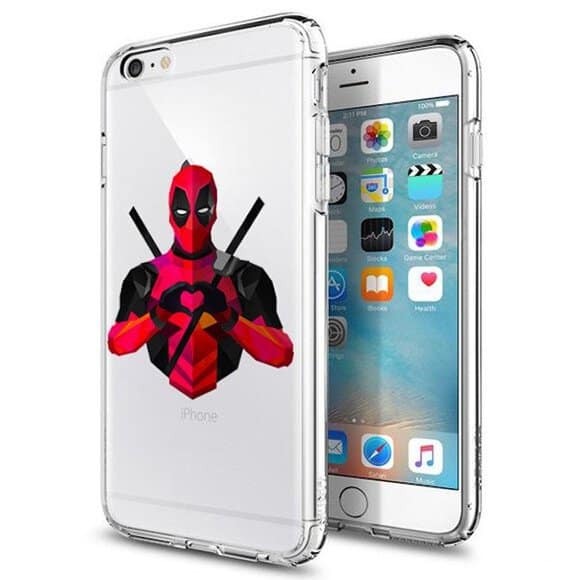 The entire new series of ultra thin semi transparent case has been launched by Spigen for the new iPhone 7 which allows users to showcase the beauty of their iPhone and at the same time display amazing superhero characters on the back panel. The case protects your phone and perfectly placed cut-outs let you access ports, charging point and other controls easily. There are four unique series that include Heroes, Galactic, Villains and Helmetica are available. 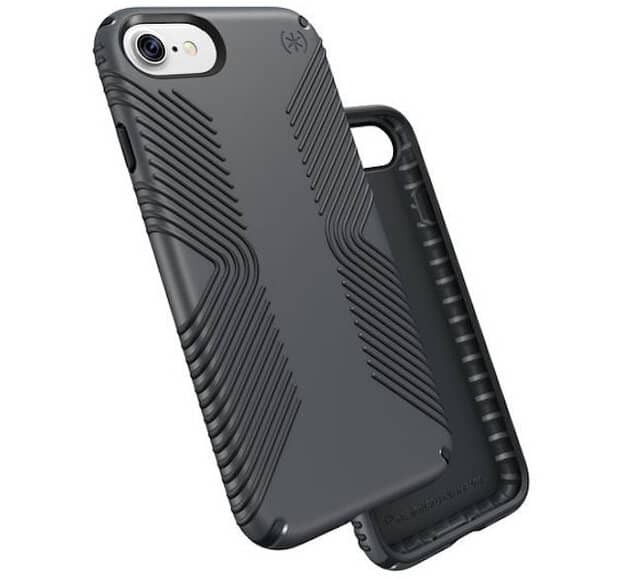 The urban Armor Gear Monarch Series case for iPhone 7 encircle a premium design and errorless technology. the case doubles the military standards for shock and drops. The case is handcrafted and adds minimal bulk to your phone. It provides five layer of protection. Hardware consists of Alloy metal and high quality leather. The inner part of soft and impact resistant. users get 10 years of limited warranty. 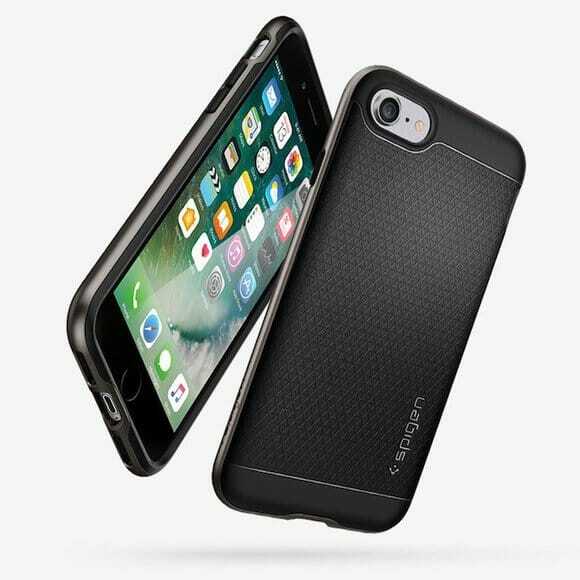 Moshi is about to launch the stylish as well as function iGlaze Armour case for the Apple’s new iPhone 7 and they will also come with suitable accessories for iPhone 7 plus. The iGlaze Armour case is highly impressive and boasts a solid outer shell along with a brushed aluminium on the back side to provide good grip over the phone. 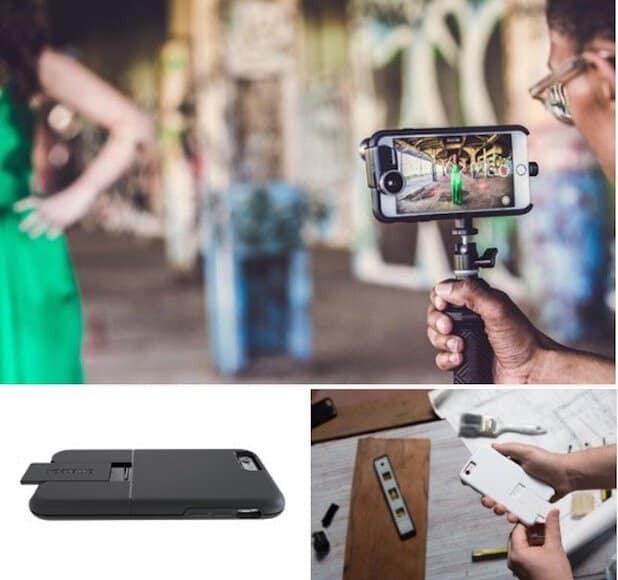 The case packs nice cut-outs so that users can access ports, camera and connect the charger without removing the cover. 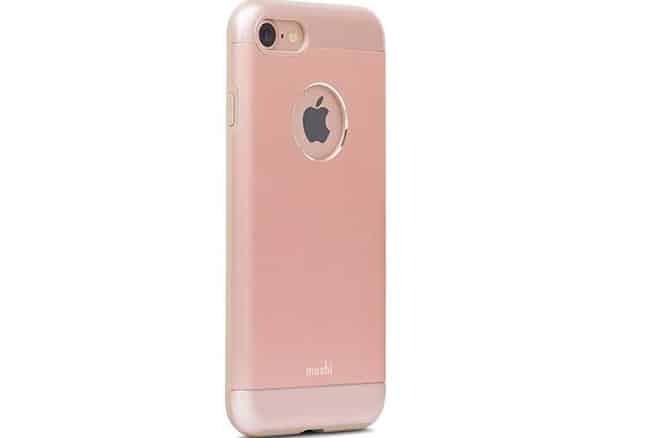 The case ships in variety of colours such as Black, Gold, Grey and Pink. 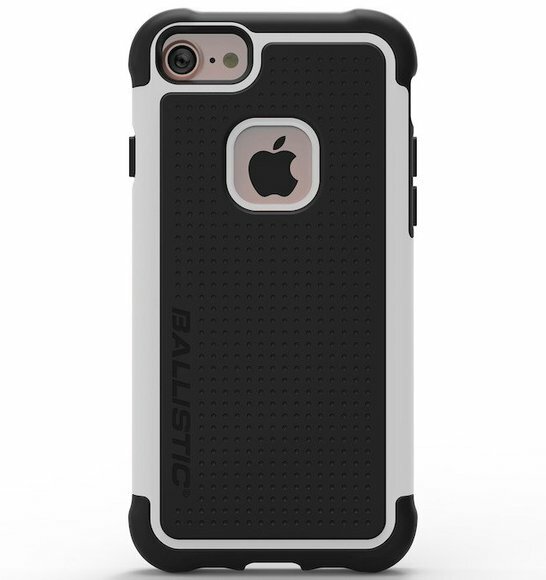 The Touch Jacket case from Ballistic is highly reliable as it offers heavily strengthen corners which ensure the protection of the phone from the drop of up to 6 feet. 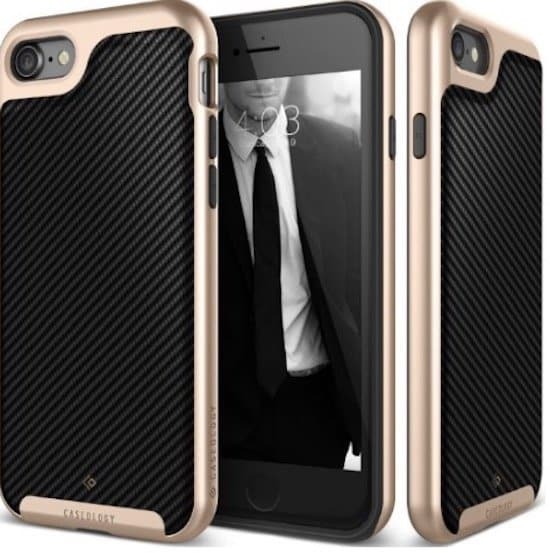 The dual layer design of the case includes a hard outer shell with tough back plate and soft interior made of rubber which saves your phone from sudden smash or bumps. The bezel on the front is lifted to provide safety to the front glass of your precious iPhone 7. The case provides easy accessing to all ports and other features and ships in black and white colours. Speck has come up with the new range of renovated cases that are more light weight and protective then the previous models. The Presidio Grip Case brags a hard polycarbonate outer shell and packs soft inner body made of impactium to reduce the impact of any shock. The case has the ability to keep the phone safe even if it gets dropped from around 10 feet. The case looks beautiful and has a user friendly design which includes perfect cuts to access ports, camera, charger and other controls. The case offers wide range of colours and ships in 6 unique combinations. These beautifully crafted book shaped cases not just provide good amount of protection but also look impressive. The folio style cases are made with finest fabric and quality leather which provide all round protection. Bookcase offers an elastic closure to make sure that the phone doesn’t slip around. Dodocase Bookcase keeps your phone safe from scratches/dust and allow easy access to ports. It ships in graphite satin, pewter satin and copper satin. The case is build with high quality full-grain leather and equipped with innovative Moulded Edge Technology which helps the case to remain undamaged due to any friction against the pocket of your jeans. 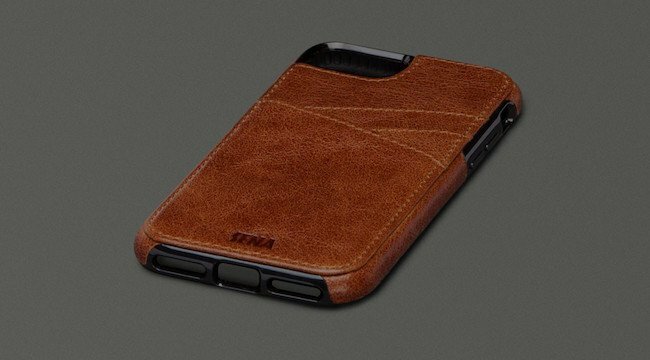 The inner body is made by vegetable-tanned leather which provides a soft and smooth surface and keeps your iPhone 7 safe from unwanted scratches. You can easily adjust volume rockers, lighting connector and headphone jack due to the smart designing of the case. The case looks premium in hand and comes in black and tan. These cases are cheaper then others but offer decent protection and stunning looks. However, they are not as good as others in terms of drop protection. The cases are made of premium PU leather and have soft coated polyurethane bumper to keep your phone safe from bumps and scratches. The case look good and have nice openings for ports and other controls. 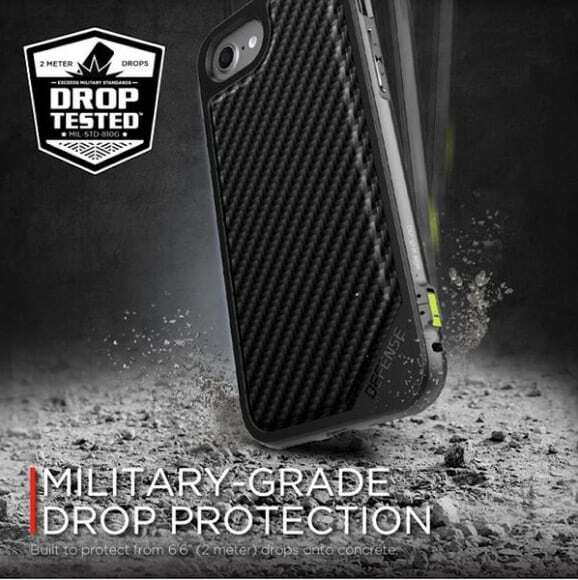 It is a robust case which provides solid protection from sudden drop and smashes. 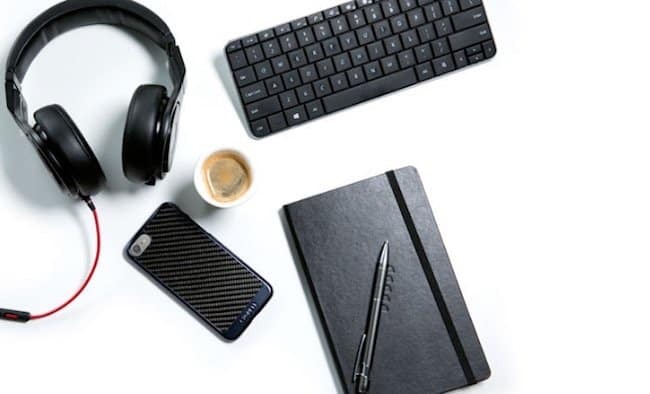 The Workmate Pro case packs dual layer design which includes a soft layer made of flexible material inside and over the buttons and tough outer body to protect the external part. The case features openings for ports, camera, switches and the on the front it has raised bezel to save the screen from any unwanted scratch. The design and looks of the case are really attractive and it comes in various colour combinations such as Black and Blue, White and Grey or Black and Grey. So, these are the best iPhone 7 cases and covers that we loved the most. When you use a precious phone like iPhone 7 , protection of the phone becomes extremely important because you cannot afford ugly scratches on the screen and any unwanted damage inside the body which eventually affect the entire performance of the phone. It is always advisable to keep the iPhone safe inside a strong shell which should also provide easy access to all controls and shouldn’t low down the quality of display and audio. 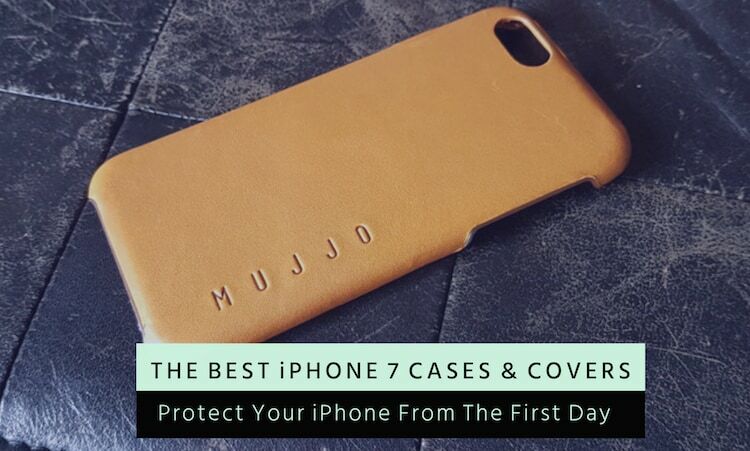 Hopefully the list of best iPhone 7 cases and covers provided by us would help you to choose the right one.